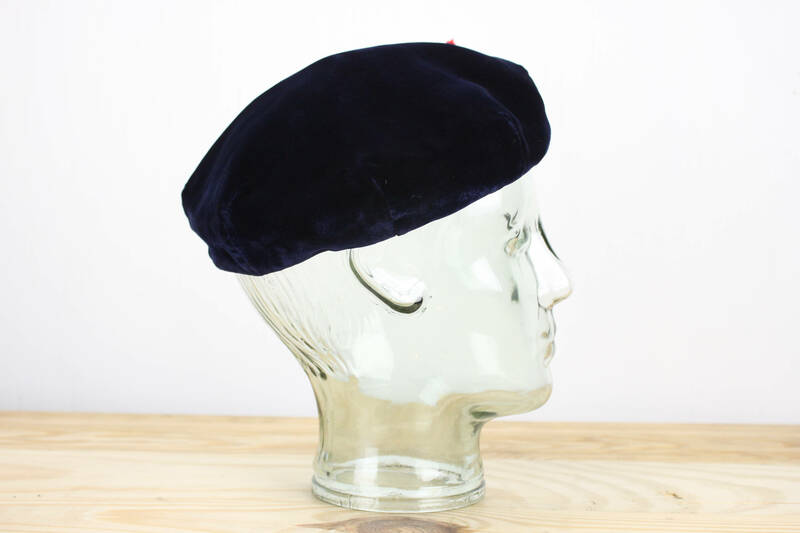 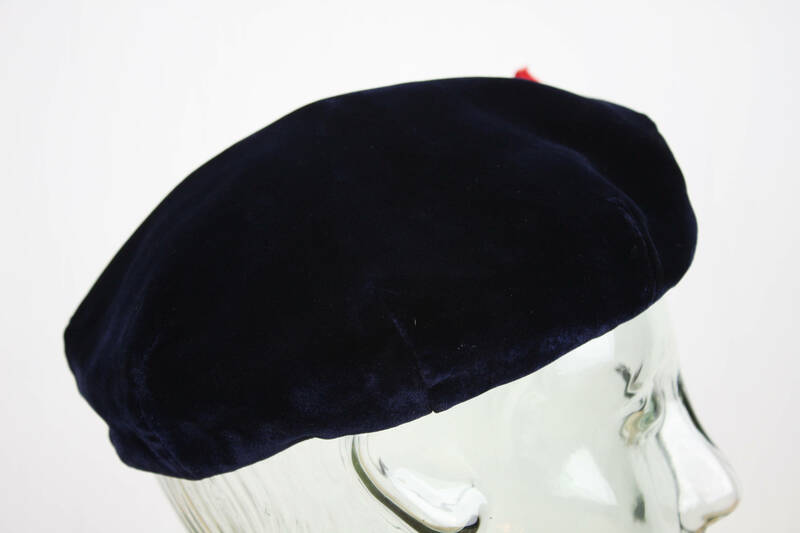 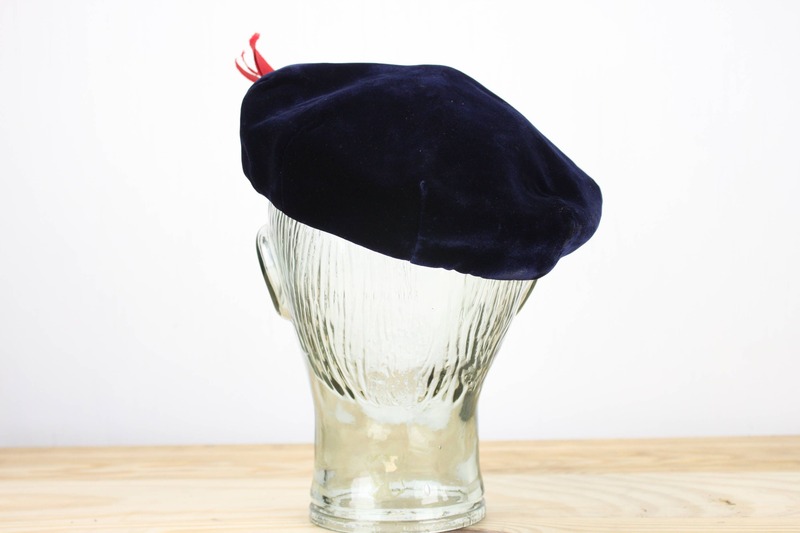 This plush, royal blue, velvet beret is an exquisite and regal take on a classic Irish Military Caubeen! 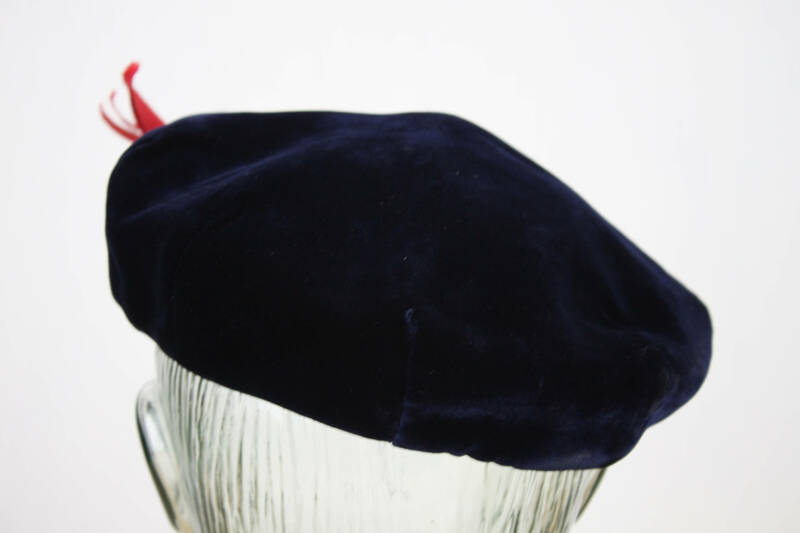 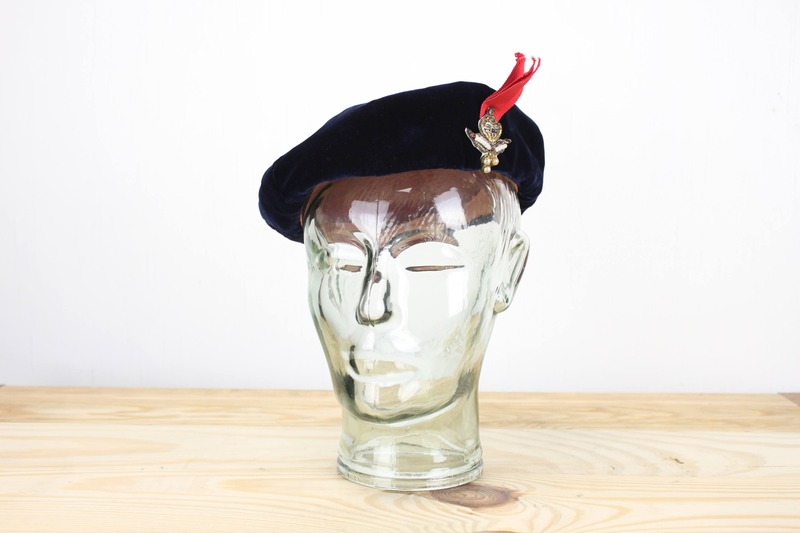 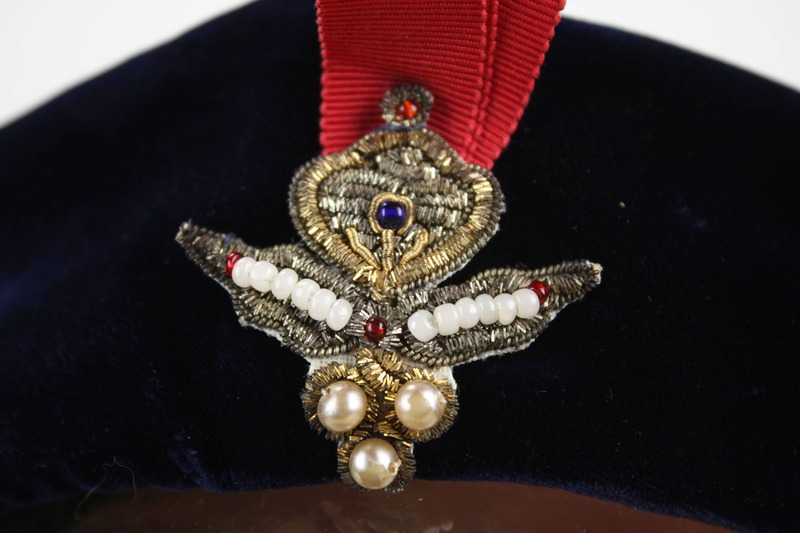 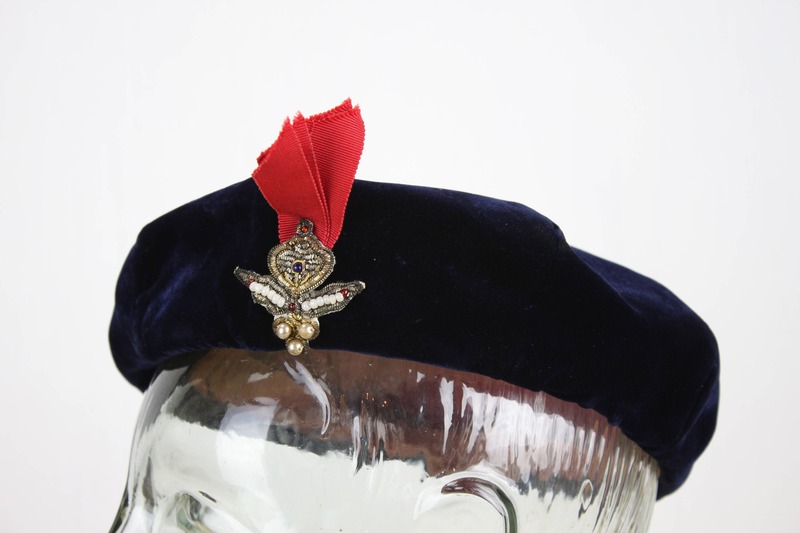 This wonderful beret is in amazing condition and features a sumptuous Gold & Silver Bullion badge accented with both glass beads and red, cotton ribbon tassels! 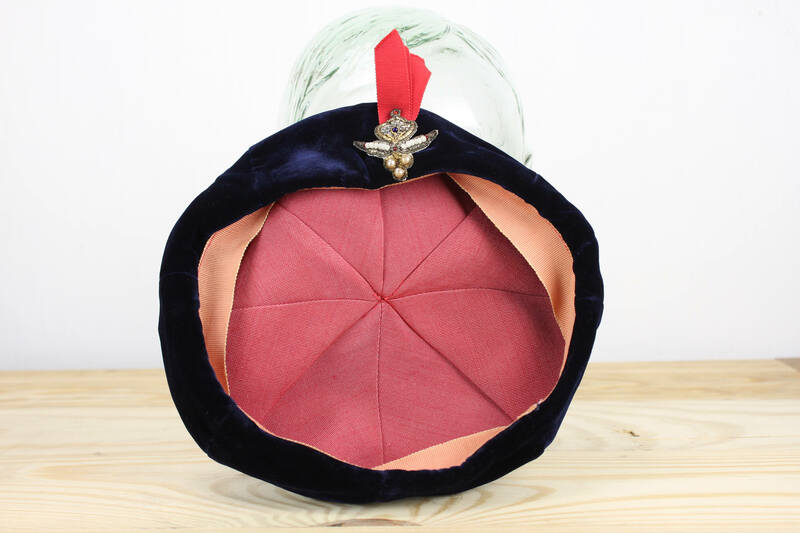 This hat features a light red, cotton, 8 panel lining and salmon colored cotton band! 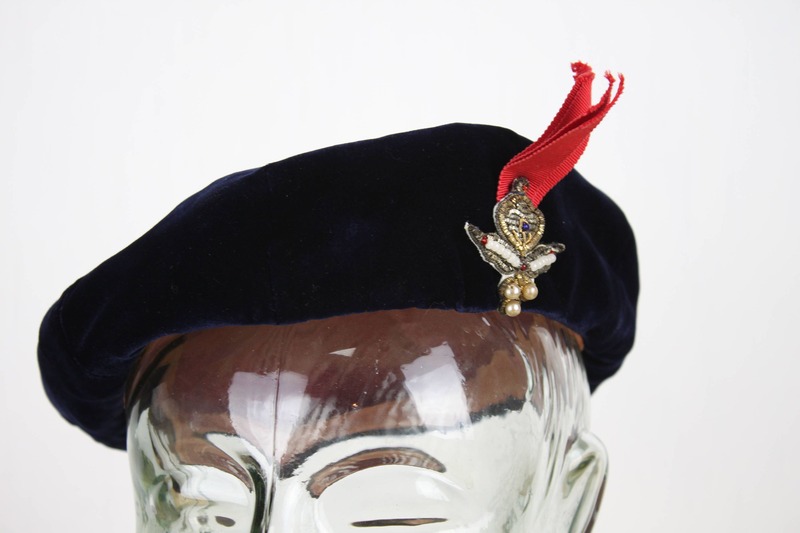 Most likely this hat is handmade - Thus it is hard to date this piece to a specific era. 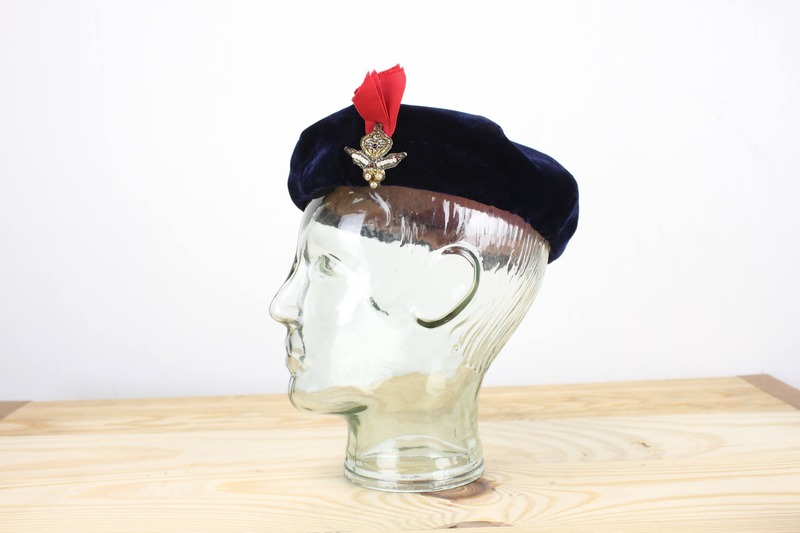 However, taking the style of the hat, materials and methods of construction into consideration - I would say that this hat dates to sometime in the 1940's and was made and proudly worn to display support for the troops!